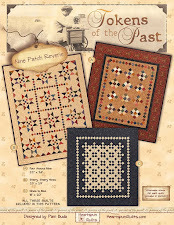 Settler's Puzzle Pattern & Kits!! 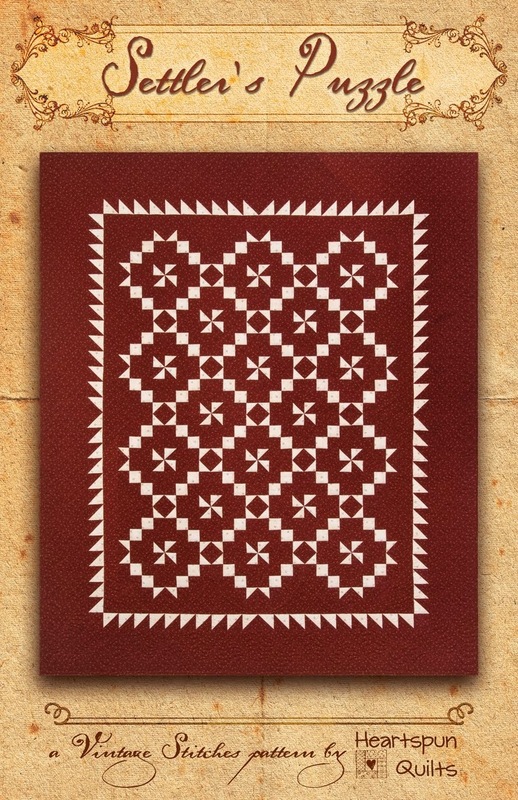 My Settler's Puzzle pattern is now on my website and ready to ship! I also have SIX different fabric kits available as well!! 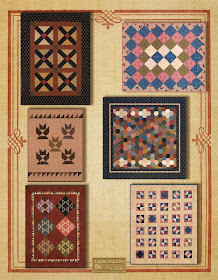 All are kitted with fabrics from several of my Marcus Fabrics collections. There are two different kits with black and cream fabrics, two different kits with blue and cream fabrics, and two with red and cream fabrics. Once I unpack my camera and notes from Quilt Market, I'll share the photos I took while visiting friends and their booths. Lots of lovely things to keep our needles busy. Thanks for visiting my blog, and hope you all have a blessed day. 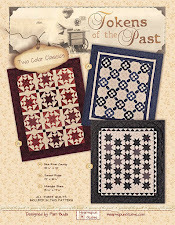 I'm so excited to finally be able to tell you about my newest pattern series, Tokens of the Past. 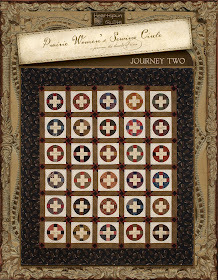 Each Tokens of the Past pattern will have several doll size quilts for your piecing pleasure. 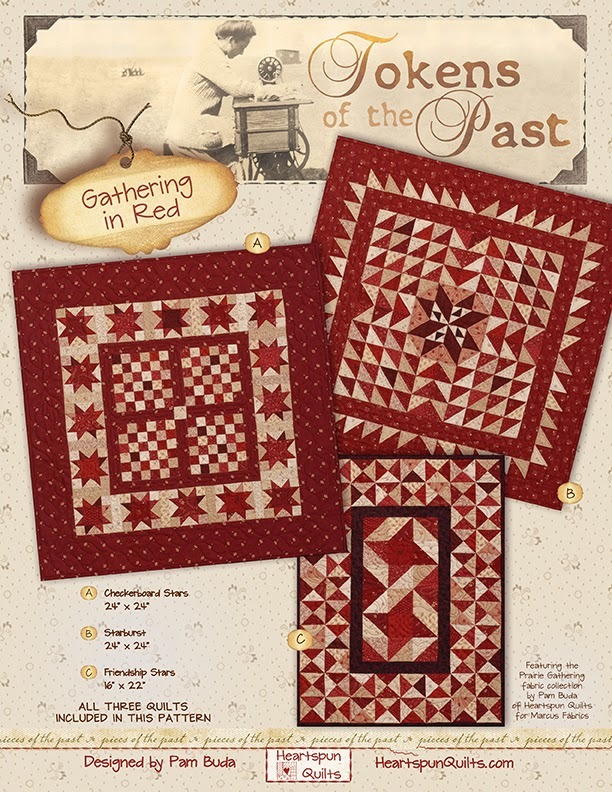 Gathering In Red is the first pattern in this series, featuring three new quilts in one pattern!! 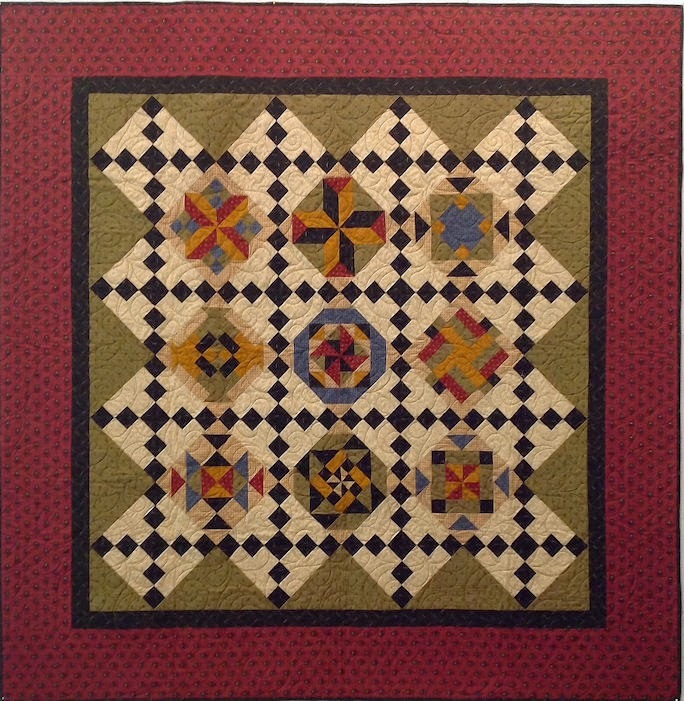 The first quilt is Checkerboard Stars. There's something so appealing about square patch blocks like Four Patches, Nine Patches, and in this case a Thirty Six Patch block. Patchwork at its best! Add some scrappy Sawtooth Stars and it's quite irresistible! The second quilt is called Starburst. 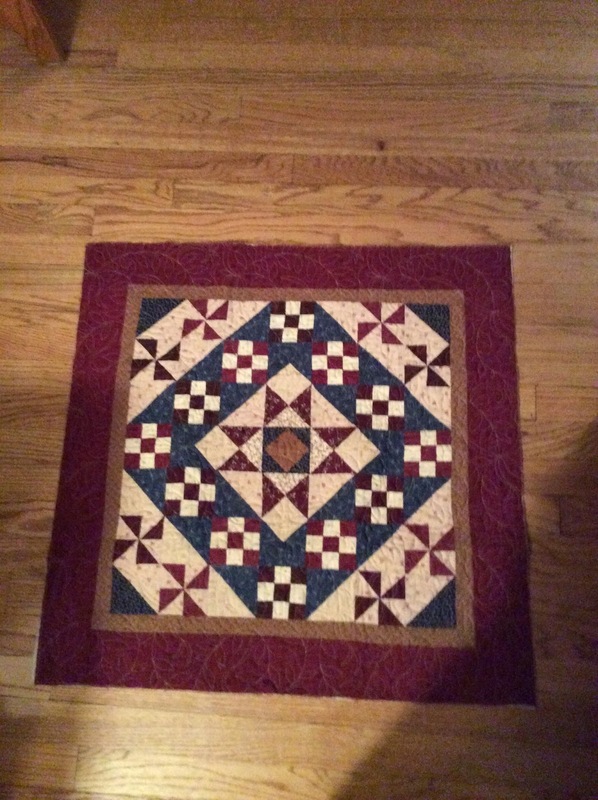 I adore Half Square Triangles....they're such a simple little block that has big eye appeal in a quilt. You just can't beat it. 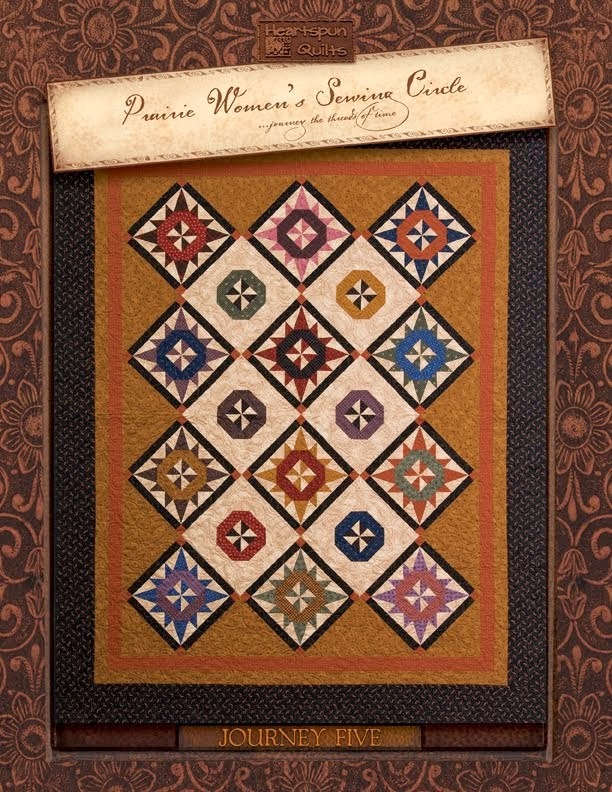 Add color and value play for a very striking quilt! The third quilt is called Friendship Stars. 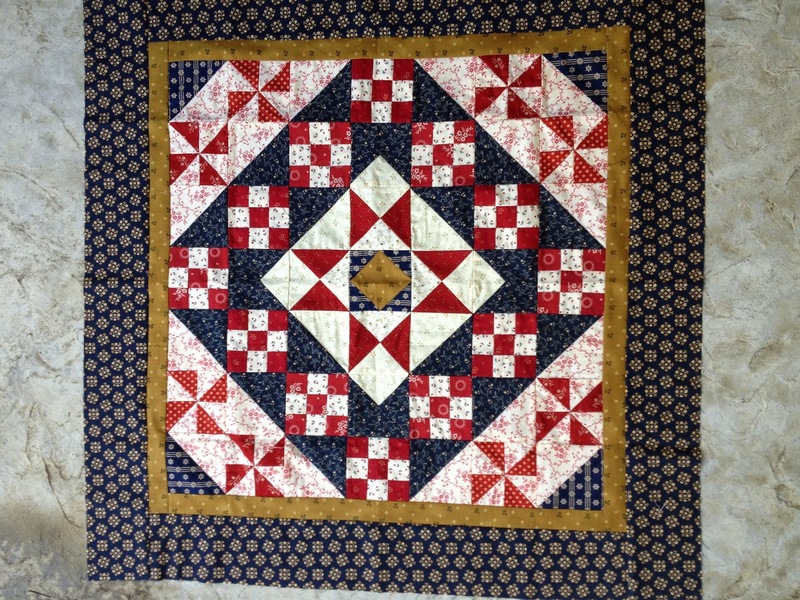 Lots of scrappy Quarter Square Triangles surround a pair of Ribbon Star blocks with traditional Friendship Stars swirling in the center. Your eyes just dance all over this quilt! But....there's more great news linked to my Gathering In Red pattern!! 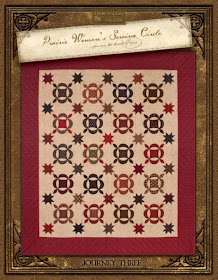 Marcus Fabrics agreed to make a new precut of 10 inch squares of my Prairie Gathering collection for me!! Yay!! What's so great about that? from one Prairie Gathering precut!! Purchase your sashing, border and binding fabrics and you're done! 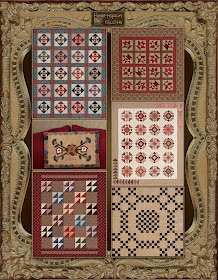 You can also opt to pick and choose the quilts you want to make as well. 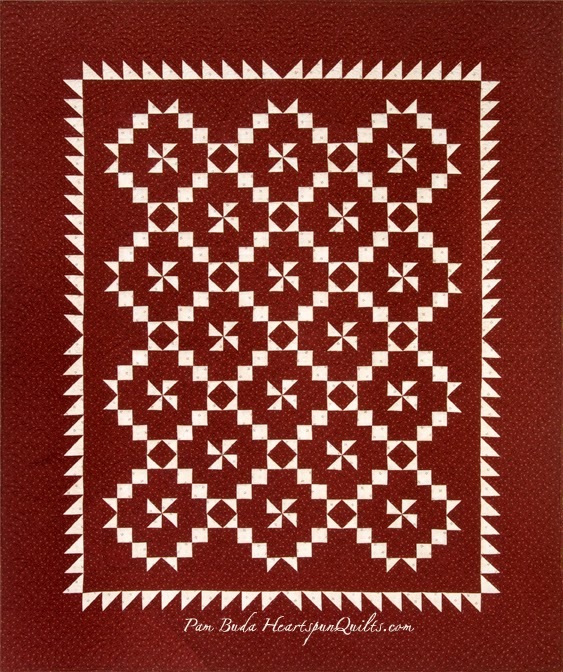 The pattern will have instructions for several options. 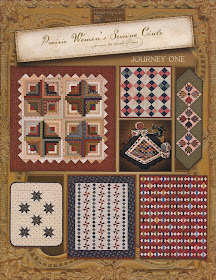 The pattern will be released in November, and precuts will be delivered in January. Stay tuned for a special offer from me for Gathering In Red kits! After leaving McCall, ID, my husband joined me as we took a couple of days to travel to my next teaching stop. We followed the real Oregon Trail eastbound from Boise, to Twin Falls, to Pocatello, and ended in Montpelier, ID. A most fitting place to stop following the trail. We visited several areas where the wagon ruts still exist, which was quite exhilarating!! And the mountains, valleys, rivers, and gorges were spectacular. The National Oregon/California Trail Center, you see, sits on top of the actual land that was once known as the Clover Creek Campground. From where the Oregon Trail began in Independence, MO, Clover Creek was 1,100 miles into the 2,000 mile journey, and was a welcome three day stop for the emigrants. Before building the Trail center, the founders worked very closely with Oregon Trail historic experts who assisted them in pinpointing the actual Clover Creek land. When digging the Trail building foundation, they discovered two fire pits and lots of artifacts underground. The Trail founders then situated the building on top of the camp sight in order to preserve it. This is a view inside one of the exhibits. Notice the dirt floor? You can really see the dirt floor looking at the far right of the picture. Why pay so much attention to the dirt on the floor? Because the founders saved every bit of the actual trail dirt they dug out of the campsite for the foundation and replaced it inside the exhibit areas! Pretty cool, huh? You can (and most definitely should!) take the living history Trail "tour" which is lead by a very knowledgeable "Wagon Master" who will tell you all about what you need in preparation for your arduous journey. The wagon and all the provisions on the shelves in the rear of the picture would have been all you're allowed to take. 1500 lbs worth of goods, mostly food stuffs. Not much room for quilting frames or treadle sewing machines! Of the many items for sale at the Mercantile, you would have picked up a few bolts of fabric, not for making clothing, household goods, or quilts, but for trading with the Indians. You might trade fabric for buffalo skin, which would be much warmer to sleep upon instead of a thin burlap mat. (Parish the thought, right?!) Coffee beans, a small flour grinder, and bullets would be on your list as well. The Wagon Master would acquire (and be the only one allowed to have) a bottle each of whiskey, laudanum, and a strong liniment. All three could be used for what ail's you!! I was so into the living history tour that I plum forgot to take pictures of the rest of the tour, but suffice it to say, it was quite enthralling! A collection of real wagons that actually made the 2,000 mile trip, and all the vintage camp paraphernalia that goes with it are displayed around the areas where the two original campfires were found. I was like a kid at Disneyland! The modern areas of the Trail Center honor and reflect its nineteenth century history in every nook and cranny. When you ask to be directed to the restroom, they indicate the closest "white porcelain" bushes for you to use. The staff are almost never out of character, making the entire experience so much fun. ...where you're surrounded with 1800's artifacts the museum as acquired. Didn't they do an awesome job creating a fun place to eat at the Trail Center? While you might think they serve "trail grub", you'd be wrong. They have a very talented executive chef capable of serving Prime Rib to over 100 guests! Everything was delicious! The Trail Center is also home to a state-of-the-art auditorium. I was loving the covered wagon background as I gave my lecture and trunk show. 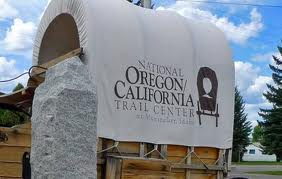 All in all, my visit to the National Oregon/California Trail Center was one I will never forget. My heartfelt thanks to Executive Director, Becky Smith, Jill, Cindy and Dave who all went above and beyond to make our trip wonderful! And my thanks, also, to all the quilters who came out for the lecture and workshop...I had a great time meeting you all and hope to see you again soon! Stay tuned to my blog for news about a return trip here in the Spring! After leaving Idaho, my hubby and I traveled to Jackson Hole, WY, spent two days driving thru and exploring Yellowstone National Park, then made our way to Cody and Casper, WY. My hubby is heading home while I'm off to Houston, TX for Fall Quilt Market. Rest assured I will be reporting on the wonderful new stuff I find there. Follow me on Instagram and Facebook for daily goodies. Hello from the great western states! I've been gone from home for over a week now, traveling through Idaho and am presently in Wyoming. I've made two very enjoyable stops to give lectures and workshops, and have now been joined by my husband, and we'll be vacationing....but, I'm getting ahead of myself. My first stop was to Huckleberry Patches Quilt Shop in McCall, ID, a few hours from Boise into the beautiful mountains. Inspiration abounds in every nook and cranny in the shop. 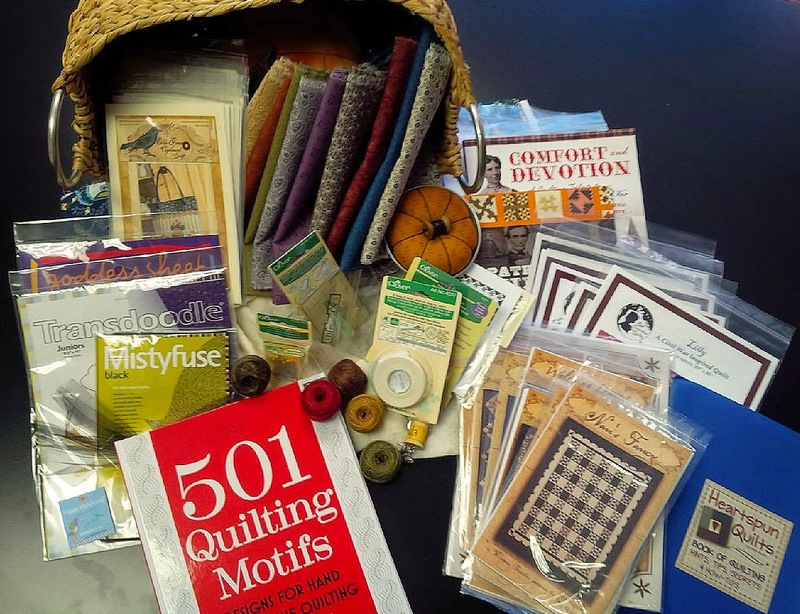 With quilting goodies everywhere you look! There's most definitely something for everyone at Huckleberry Patches. Lisa hosted a rotating trunk show of my quilts all summer long. Huckleberry Patches also has an active Prairie Women's Sewing Circle club! Huckleberry Patches hosts a lot of Block of the Month programs. I thought this one was exceptional. It's called Cornelian by Hugs 'n Kisses. Call the shop at 208-634-4933 to sign up!! The highlight of my time there was definitely the three days of workshop classes with the quilters who live and traveled to McCall! Talented and friendly ladies who made each day a pleasure to be sure! With heartfelt thanks to Lisa and all the wonderful, generous ladies I met in all my workshops. You all made my trip one I'll never forget!! More from my trip to Idaho soon....stay tuned! Stitching on The Oregon Trail ~ Literally!! Today I'm heading West....part work, part vacation. West as in "the Oregon Trail" West!! My husband and I will, for a couple of days, be traveling either on or parallel to the actual Oregon Trail, which has this Prairie Woman very, very excited!! I hear there are places where you can see the 'ol wagon ruts that still exist. Amazing. I love to travel, especially to places I've never been before. I'll visit Idaho, Wyoming, and Montana...all new states for me, and three I can cross off my Bucket List!! Yay!! So jazzed about that. First stop has me landing in Boise with a car ride to McCall, ID and Huckleberry Patches Quilt Shop. I hope to blog post pictures along the way as often as I can. I'll be posting to Instagram and Facebook as well, so I hope you'll join me on my adventures. One of my favorite things to do is listen to audio books. Love, love, love Audible. My dear friend, Karen A., who is an avid reader, told me I had to read this book. She was so right, and I'm almost finished with this wonderful book. It's historic fiction, loosely based on the real Grimke family who lived in Charleston. 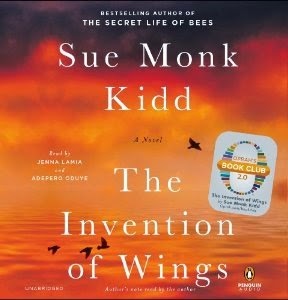 The book begins in 1803, and tells the story of Sarah Grimke, daughter of the plantation owner, and Hettie, a slave child, both about the same age. Each tells the story of their life from their perspective and is quite uplifting. 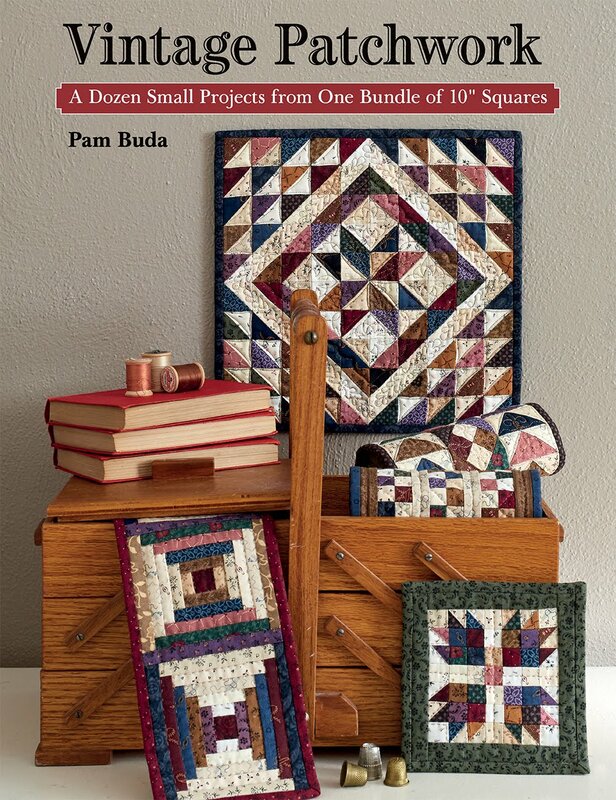 While the story is not about quilts, quilts figure prominently throughout the book making it a lovely bonus for those of us who love quilts. I have a few more books downloaded to my phone for my husband and I to enjoy as we travel the "trail". If you have any book recommendations for me, I'd love to hear about them. 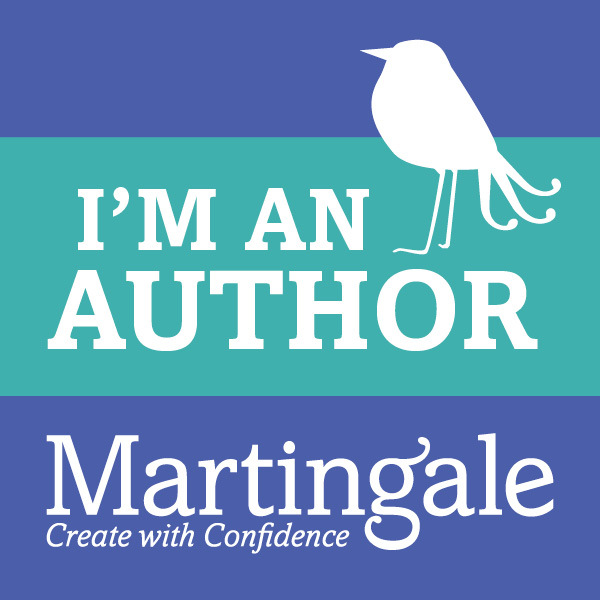 Post a comment so everyone can see what 'good reads' are on your phone or night stand! 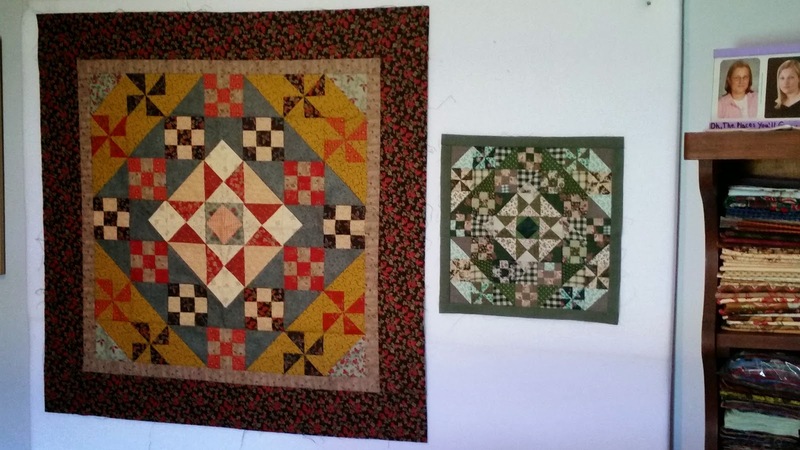 Hope to see you at Huckleberry Patches Quilt Shop and the National Oregon/California Trail Center!! 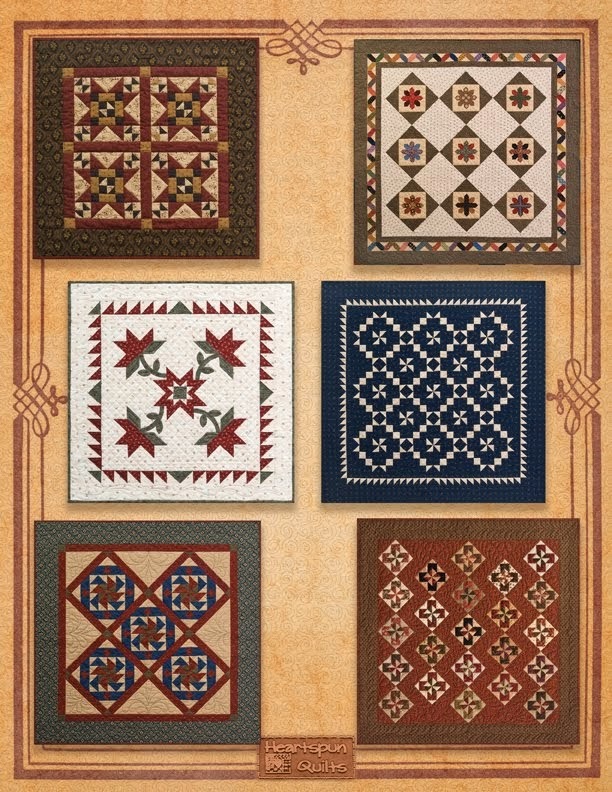 By now I hope you have seen what our Marcus Fabrics Friends & Companions quilt looks like! Isn't she a beauty? 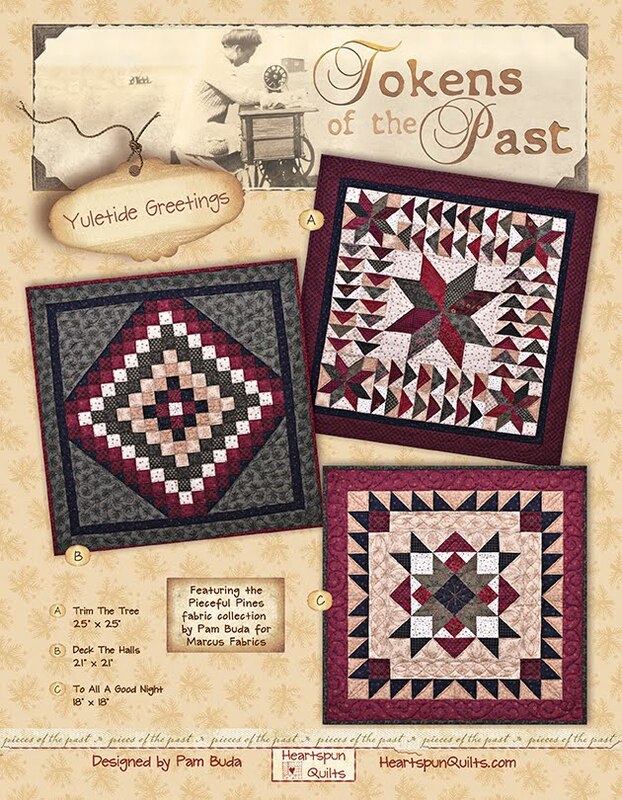 Did you visit Red Crinoline Quilts blog and leave your comment for a chance to win one of the Grand Prizes?? Oh, really you should. 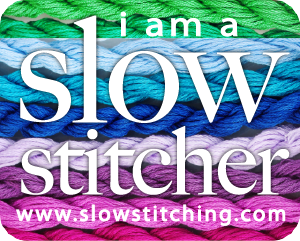 We're asking the question of whether or not you like participating in a mystery sew-along, or if you would prefer seeing the project before hand. Hop on over to Red Crinoline's blog and tell us what you think. We'd love to hear from you! 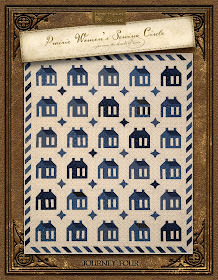 Just in case you think you'll be going through sew-along withdrawal, Jennifer Gaston of Woolen Willow Designs is hosting a really cute, folky prim freebie SAL. Click here to check it out. 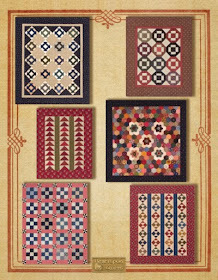 Jennifer and her family are publishers of Primitive Quilts and Project magazine, so you know it's going to be really good!! 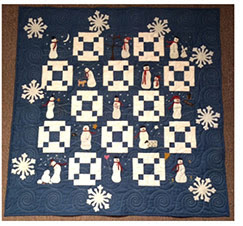 While you're perusing the free SAL, check out Jennifer's oh-so-adorable Snowman quilt. Click here for all the details. The pattern for each snowman is only a buck! Friends & Companions Sew-Along Quilt!! Hop on over to Red Crinoline's Blog and see it all!! And...don't forget to leave a comment for a chance to win all this good stuff!! Tie A String Around Your Finger!! Marcus Fabrics Designer Friends & Companions Sew-Along!!! 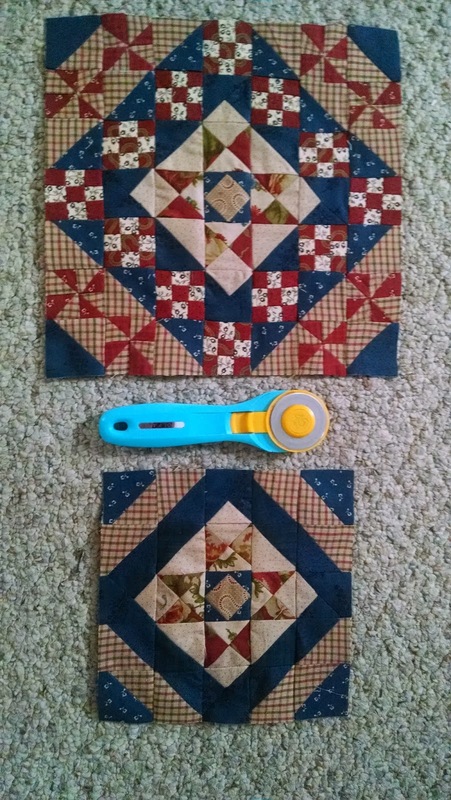 Visit Red Crinoline's Blog to see what your quilt looks like! It's gorgeous!! 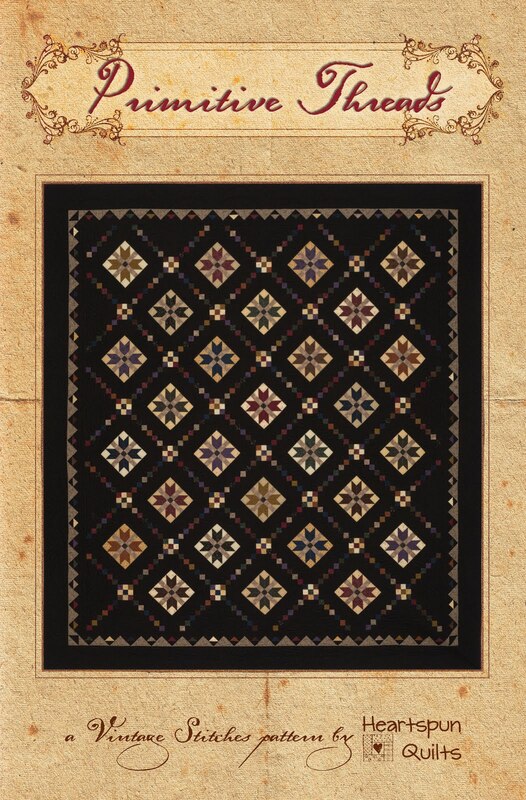 You'll receive the finishing instructions for the quilt and they'll post a photo as well. Betcha can't wait!! Be sure to leave a comment on Red Crinoline's blog for a chance to win this pile of goodies in our Grand Prize Give-away!! There's all kinds of goodness in this basket. Someone has to win...why not you?! But, you can't win if you don't comment, right? Next week, I'll begin a long trip. 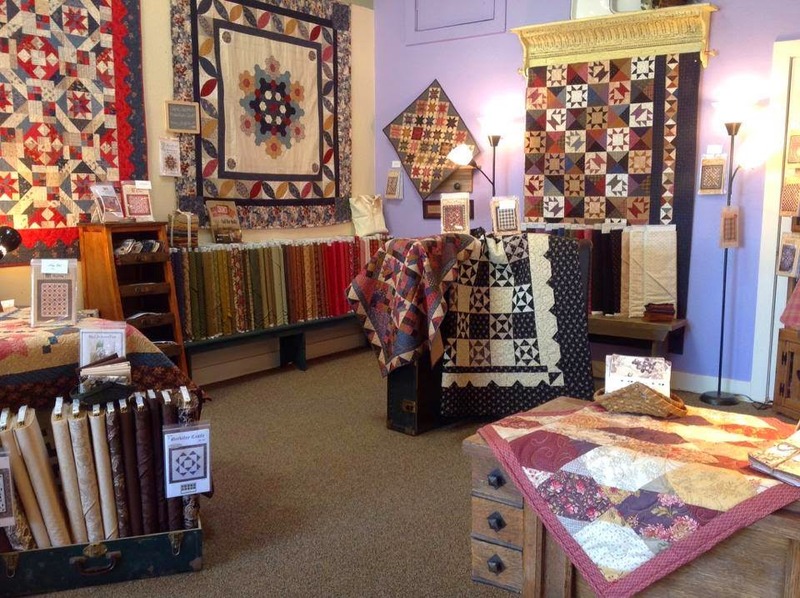 My first stop is to visit Huckleberry Patches Quilt Shop in McCall, Idaho! I've never been to Idaho before, and I'm so looking forward to it. I'll be giving a lecture/trunk show on Friday, October 10th, with three classes on Saturday, Sunday and Monday. We'd love to have you join the fun. If you're interested, please call the shop at 208-634-4933 to sign up. My next stop will have me literally traveling the Oregon Trail (in today's version of a wagon...as in mini-van!) on my way to the National Oregon/California Trail Center in Montpelier, Idaho. This national park is hosting me for lecture and workshop offerings October 16th & 17th. If you're interested in attending, just give the Trail Center a call at 208-847-3800. From there, my hubby and I will be spending a little vacation time in Wyoming, visiting Jackson Hole, The Grand Tetons, Yellowstone, and Casper. We will part company, with my hubby returning home as I go on to attend Fall Quilt Market in Houston, Texas. You can count on me for photos and details of my trip when I get back home. There's nothing like getting travel advice from those who live in the area and know it best. Part Five signals the end of the Airing of the Quilts from my Market Day Pocket Patchwork sew-along. I hope you have enjoyed seeing the creative work of so many talented quilters from around the world as much as I have. My sincere thanks to all of the quilters who were sewing along with me....I'm always so jazzed about it! What fun. If you were unable to join the fun this time, I sure hope we've enticed you to participate in future sew-alongs....and yes...there will be future sew-alongs, but not until next year. The holidays are coming soon, and we'll soon be busy preparing for them, and enjoying time with our family and friends. Not to worry, though...I'll soon be enticing you with new quilt projects that have been in the works here! Thanks for visiting my blog, and enjoy your day! !